The following table shows the revenue of Inditex, the parent company of ZARA from 2001-2017 in Billion Euros. 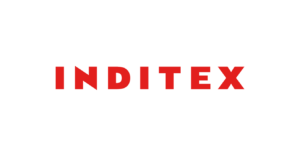 Inditex has seen rapid rise in revenue during the recent years driven by sales growth from online channels as well as rapid global expansion. Its revenue reached 25.3 Billion Euros in 2017, rising from 23.3 Billion Euros in 2016. In 2015, its revenue was 20.9 Billion Euros. Inditex is the parent company of ZARA, the famous and fast expanding fast fashion brand. It is the largest and the leading fashion brand of the world with a remarkable presence globally in the key markets. Inditex owns several fashion brands including ZARA. Its success can be attributed to its integrated business model and its excellent supply chain management as well as its passion for creativity. It has grown its retail network vastly in the recent years. Apart from its 7475 retail stores, the brand is selling globally in 47 markets through its online channels. In 2017, it rolled out its e-commerce platform in key markets in Asia. Other brands owned by Inditex include Pull&Bear, Massimo Dutti, Bershka, Stradivarius, Oysho, Zara Home and Uterqüe. ZARA accounts for the largest part of Inditex’s revenue and is the oldest brand by Inditex.